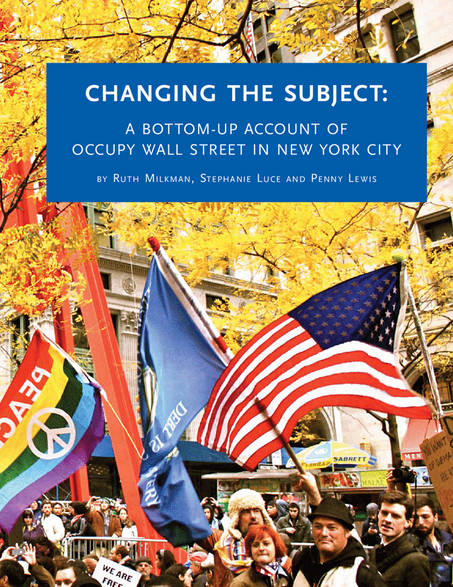 New report on Occupy Wall Street in New York City. had been led to expect. 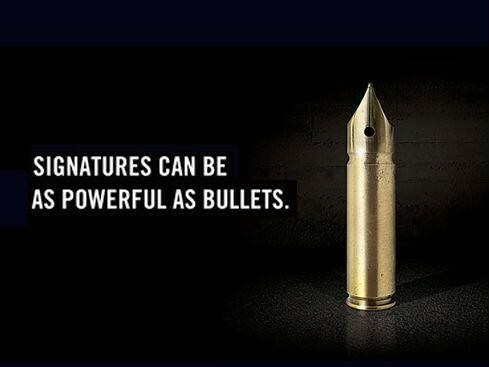 remain politically active and civically engaged. around the “We Are the 99%” slogan. The Oregon Citizen’s Initiative Review is without doubt one of the most interesting recent innovations in the field of citizen engagement. To select the panelists for the 2010 Oregon CIRs, HDO used the following selection process: HDO took a probability sample of 10,000 Oregon voters. All voters in this sample were sent an invitation to participate in the 2010 Oregon CIR and a demographic survey. Three hundred fifty members of the sample responded, for a response rate of 3.5%. From those who responded, HDO, using the demographic data from the sample survey, anonymously chose 24 panelists, and 5 alternate panelists, for each 2010 Oregon CIR. The panelists and alternates for each CIR were chosen using stratification, so that each panel closely matched the Oregon population in terms of place of residence, political partisanship, education, ethnicity/race, gender, and age. If advocates and policymakers in the open government space are really serious about citizen engagement, this is the sort of institutional innovation they should be looking at. Unfortunately, this doesn’t seem to be happening. As mobile phone ownership rates have risen dramatically in Africa, there has been increased interest in using mobile telephones as a data collection platform. This note draws on two largely successful pilot projects in Tanzania and South Sudan that used mobile phones for high-frequency data collection. Data were collected on a wide range of topics and in a manner that was cost-effective, flexible, and rapid. Once households were included in the survey, they tended to stick with it: respondent fatigue has not been a major issue. While attrition and nonresponse have been challenges in the Tanzania survey, these were due to design flaws in that particular survey, challenges that can be avoided in future similar projects. Ensuring use of the data to demand better service delivery and policy decisions turned out to be as challenging as collecting the high-quality data. Experiences in Tanzania suggest that good data can be translated into public accountability, but also demonstrate that just putting data out in the public domain is not enough. This note discusses lessons learned and offers suggestions for future applications of mobile phone surveys in developing countries, such as those planned for the World Bank’s “Listening to Africa” initiative. Of particular interest to me is the fact that part of the design used financial incentives as a means to reduce nonresponse and attrition rates. In the technology and development world there has been lots of talk about “incentives to participate”, where the practical shortcut is often the provision of financial incentives. In Tanzania, for instance, the authors report that “respondents who successfully completed an interview were rewarded with an amount varying from $2 to $4”, not a negligible sum in the Tanzanian context. Remarkably in both Sudan and Tanzania the amount of the reward did not have a discernable impact on response rates. But these findings are not as surprising as they may seem. Indeed, there is a good deal of evidence from behavioural economics pointing out that financial incentives might not work as well as traditional economics (and economists) would predict. One lesson is that providing citizens with relevant, timely, and accurate data about the actions of politicians, policy makers, and public service providers is not sufficient. For the data to have impact, they need to be accessible and disseminated widely, and in ways that allow them to be utilized by already existing institutions and actors. This is an interesting point, although I am not sure to what extent existing institutions are enough. In the field of technology and governance, I believe that it has become quite clear that very little is achieved when technological solutions are not coupled with institutional innovations. But that’s another story. In any case, a great read, and the type of effort that is badly needed in this space. Tom Steinberg asked me for a list of my favorite recent reads. So here’s the first part of a rather disorganized list of readings and other resources, with sporadic comments on why I like some of them. The list is heterogeneous in terms of subject, method and quality. In my opinion, the common denominator among the different resources is their relevance for those working at the intersection of participation and technology. Landemore, Hélène E., Democratic Reason: The Mechanisms of Collective Intelligence in Politics (April 1, 2011). COLLECTIVE WISDOM: PRINCIPLES AND MECHANISMS, Hélène Landemore and Jon Elster, eds., Cambridge University Press, Spring 2012. You can find more of Hélène’s work here http://www.helenelandemore.com/. Miller, J & Page, S 2004, ‘The Standing Ovation Problem’, COMPLEXITY, vol. 9, no. 5, pp. 8-16. Bond, R. M., C. J. Fariss, J. J. Jones, A. D. I. Kramer, C. Marlow, J. E. Settle, and J. H. Fowler. 2012. “A 61-Million-Person Experiment in Social Influence and Political Mobilization.” Nature 489: 295–298. S. Gonzalez-Bailon, J. Borge-Holthoefer, A. Rivero, and Y. Moreno. The Dynamics of Protest Recruitment through an Online Network. Nature, December 2011. Margetts, Helen Zerlina, John, Peter, Reissfelder, Stephane and Hale, Scott A., Social Influence and Collective Action: An Experiment Investigating the Effects of Visibility and Social Information Moderated by Personality (April 18, 2012). Hale, Scott A. and Margetts, Helen Zerlina, Understanding the Mechanics of Online Collective Action Using ‘Big Data’ (March 22, 2012). David Lazer is the co-author of two of these papers. If you don’t know it already, Stuart Shulman’s work is definitely worth checking out. Thamy Pogrebinschi is probably one of the people to look out for in the coming years in the field of participatory democracy. Lazer, David, Sokhey, Anand E., Neblo, Michael A. and Esterling, Kevin M., Deliberative Ripples: The Network Effects of Political Events (August 10, 2010). Neblo, Michael A., Esterling, Kevin M., Kennedy, Ryan, Lazer, David and Sokhey, Anand E., Who Wants to Deliberate – and Why? (September 15, 2009). HKS Working Paper No. RWP09-027. Stuart W. Shulman, 2009. “The case against mass e–mails: Perverse incentives and low quality public participation in U.S. federal rulemaking,” Policy & Internet, volume 1, number 1, article 2. Pogrebinschi, Thamy, The Squared Circle of Participatory Democracy: Scaling-up Deliberation to the National Level (2012). APSA 2012 Annual Meeting Paper. Largely unknown even among the most enthusiastic participation advocates, there is a growing body of literature in the field of tax morale that links citizen engagement to reduced tax evasion: one of the best cases for the ROI of Open Government. Below is one of the best papers in the field. You can find more references about tax morale here. Alex Howard gives a good account of how this might be happening in the DR Congo, helped by mobile phones (a project I’m part of). And if the subject is the ROI of open government, here’s a paper that links participatory budgeting to reduced infant mortality (and there’s more to be published on that front soon). Zhang, K. 2012. “Increasing Citizen Demand for Good Government in Kenya”. Stanford University. Deaton, A. 2008. Instruments of development? Randomization in the tropics, and the hunt for the keys to development. Princeton University mimeo. Cartwright, N. 2007. “Are RCTs the gold standard?” Biosocieties, 2, 11–20. Rothschild, David and Justin Wolfers. 2011. “Forecasting Elections: Voter Intentions versus Expectations.” Working paper, University of Pennsylvania. Gomez, Brad T., Thomas G. Hansford, and George A. Krause. 2007. “The Republicans Should Pray for Rain: Weather, Turnout, and Voting in U.S. Presidential Elections.” Journal of Politics 69 (August): 649–63. This is just the first part of a longer list. I hope to finish a second part soon, focusing – among other things – on the (uneasy) intersection of behavioural economics and participatory democracy.